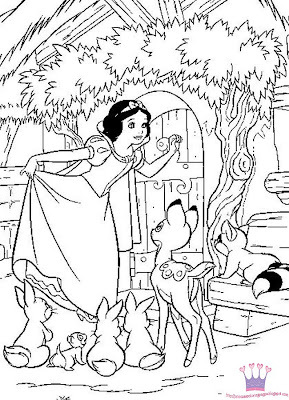 Princess Coloring Pages brings you two, free , printable coloring book pages of Snow White to color in. Enjoy! I hope you'll love seeing the seven dwarfs sing their song in the mine - they're delightful!